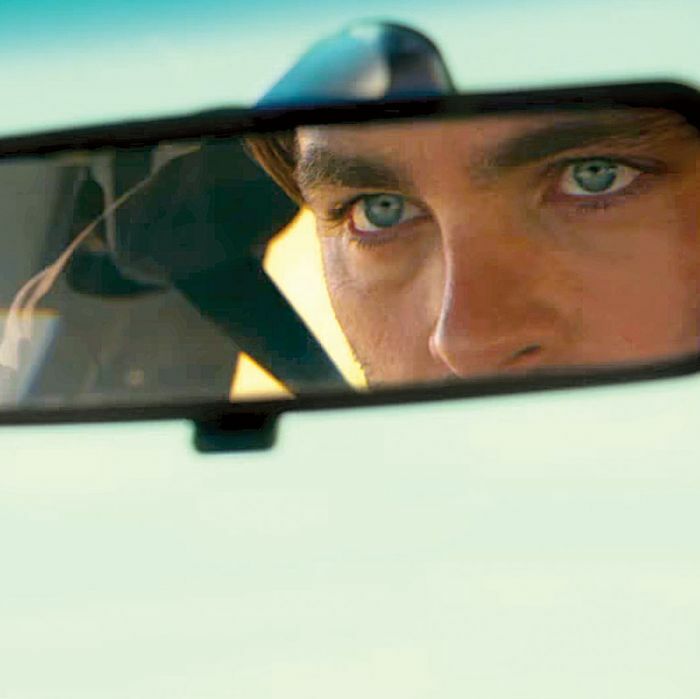 Chris Pine in Hell or High Water. The haunting neo-Western Hell or High Water unfolds in present-day West Texas, where bank-robbing brothers (played by Chris Pine and Ben Foster) target small branches of the Texas Midlands Bank in tiny towns separated by miles of desert and scrubland, while the Texas Ranger (Jeff Bridges) who hunts them muses on their motives. He doesn’t think they’re meth-heads or sociopaths. He thinks — correctly — that they’re looking to take a specific amount of money in a finite amount of time and that’s all. And he wants to stop them before anyone dies, which seems likely given it’s Texas, where lots of people carry guns that they’re willing — maybe even eager — to pull. This is the kind of Western in which we know there will be blood but pray there won’t be, because the violence is bound to be gratuitous, absurd, with a needless finality. Hell or High Water is a rare humanist Western: Finality is the true villain. This is a work of broad scale and deep feeling, a film to make you excited about the potential for finding new stories in old places. Every moment of it is charged with emotion — but also with a terrible clarity. The English-born director David Mackenzie has been quietly building an impressive career. He finally got some attention for Starred Up (2013), in which the horror was built into the title — the term for what happens to teenagers judged too violent for juvenile lockup and transferred to adult prisons. Here, working from a script by Taylor Sheridan (Sicario), Mackenzie squeezes every drop of irony from his setting, a symbol of America’s “rugged individualism” and now a home for the collectively dispossessed. The brothers, Toby (Pine) and Tanner (Foster) Howard, don’t become Bonnie-and-Clyde-like media sensations, but a lot of people tacitly approve of someone sticking it to Texas Midlands. Almost everyone has a reason to hate this source of the foreclosed houses, farms, and boarded-up businesses that dot the region. There’s a restless kind of resentment in the air, and the archetypes are topsy-turvy. Cowboys and Indians still make their presence felt, but the cowboys watch their ranches founder and wildfires incinerate their grazing lands, while the Indians have the peculiar satisfaction of seeing the people who took their land getting their own land taken. Mackenzie isn’t given to fatalism, though. His anti-heroes are unwilling to go quietly. Gradually, we learn that it was Toby, a divorced father with no criminal history, who enlisted the volatile ex-con Tanner in this scheme, with the intent of giving his kids an economic security that he never had. (Texas Midlands will end up being both the source of Toby’s misery and his unwitting savior.) But Toby knows he can’t control the forces that he’s liberating, chief among them his brother. The chameleon Foster plays Tanner as a man who can’t stop challenging people, pushing every exchange into the red zone, sometimes for better (he entices an amused hotel receptionist into bed) and more often for worse. Pine, meanwhile, gives Toby considerable stature. Those impossibly blue eyes don’t soften his face. They give him the cast of an alien, of someone never in the moment, never at home in this world. He almost comes out of his shell only once — in a diner, where a waitress (played by a wonderful actress named Katy Mixon**) regards him as a poetic means of escaping her menial labor, and he feels her longing while knowing he can’t yield. There’s a plain morality in Hell or High Water — but it’s not too plain. How can we reconcile Ranger Marcus Hamilton’s patience and wisdom with his relentless, racist teasing of his partner, Alberto Parker (Gil Birmingham), who’s part Mexican and part Comanche and therefore the offspring of multiple bloody skirmishes with whites? We can’t, fully. Bridges’s hipster inflections suggest an unresolved mixture of affection and aggression — he’s the old Western sheriff reborn as a mean stand-up comic. But Hamilton also knows that Parker — who mocks the old man’s age and imminent retirement — has an enviable bedrock of faith despite that violent heritage. Does Sheridan’s script hit its themes too hard? Maybe. There’s at least one too many lines about banks robbing ordinary folks. But there are no — thank God — visual allusions to John Ford’s film of The Grapes of Wrath, which turned the Joad family into icons of working-class integrity under duress. Mackenzie comes to the West with no evident interest in the kind of “mythic” outlaws or lawmen who have obfuscated so much of American history while firing the loins of auteurist film critics. The score, by Nick Cave and Warren Ellis, is free-floating in its sadness. It conjures up a mood — gorgeously — not a meaning. Hell or High Water has one of the greatest final scenes of any Western. It’s a dialogue that’s dead quiet but bristling with menace, both open-ended and bitterly conclusive. You can play out the future it portends and see nothing but pain — and be grateful that Mackenzie and Sheridan decided to arrest the narrative right there. They force you to brood on what you’ve seen, maybe for years. This is an amazing movie. **This review originally misidentified the actress who plays the waitress. We regret the error.